April 2012- now that was a wet one………. Talk about rain, well that’s all most people in the East Midlands did all April, in between getting wet. 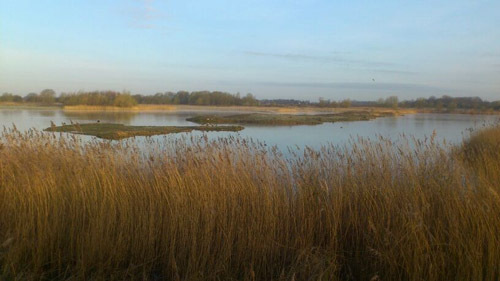 A short post this month, what with the weather and all…..see what the BBC thought about it all here – wettest April on record – 3x the average rainfall, coldest April since 1989 and 5 deg C colder than this time last year, but we’re still in a drought, hmm…. Frost on the ground, fights and a close encounter……….. 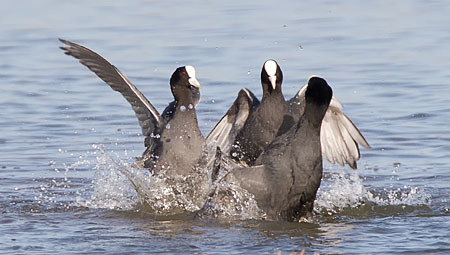 The arrival of some migrants made things a bit more interesting than just the locals. 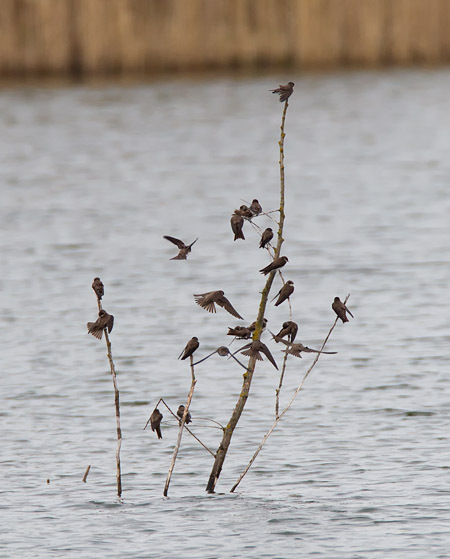 These Sand Martins taking a well-earned rest on a popular spot. 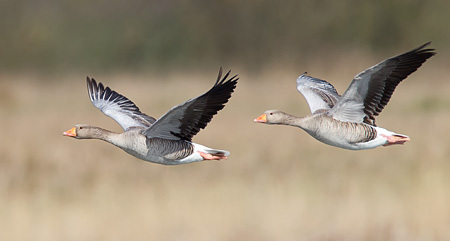 A couple of Greylag geese in flight. 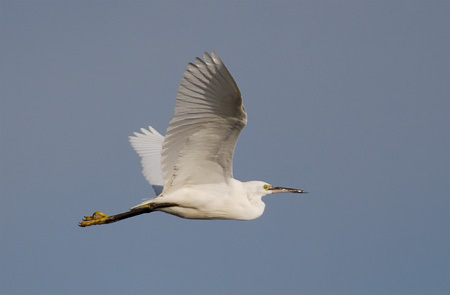 The Little Egrets seems to have all but deserted us at the moment, although they are still not yet breeding in Derbyshire. 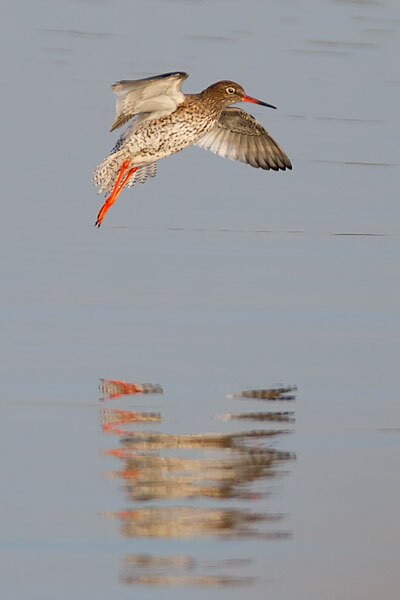 There are 2 Redshank pairing up at the moment, but there has been that much rain, I’m not sure where they will nest. The Oystercatcher nest was predated – I thought it was one of these chaps, but the consensus is that it’s an old fox [“Reynard”] with a limp, who has done the deed. He may have a limp, but he can sure swim! There are approx. 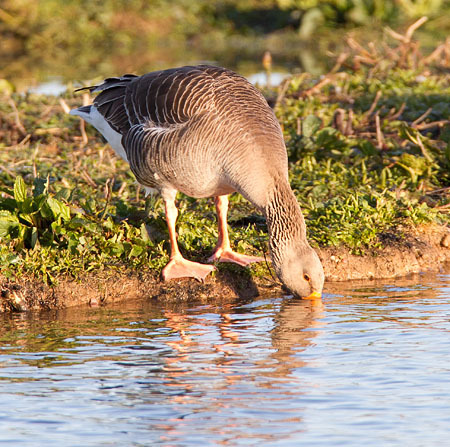 7 Greylag geese who are hanging around the gravel pits this year. 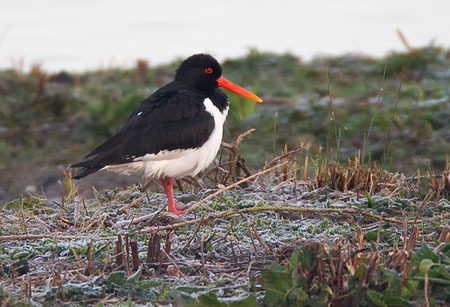 They normally don’t come here much, preferring to breed over at Swarkestone gravel pits in front of the causeway. Maybe one or two may breed here this year – who knows. 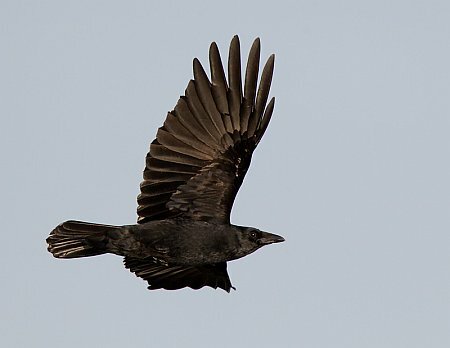 The chances for good, close BIF shots has been poor so far this year, but you get what you can, when you can. 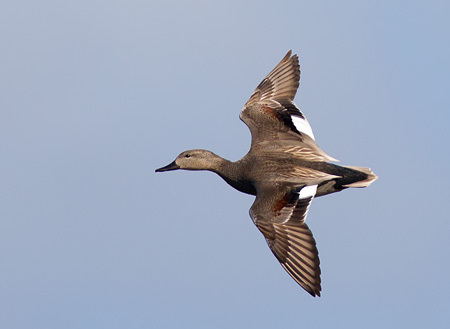 This drake Gadwall showing his “hidden” flight feathers. 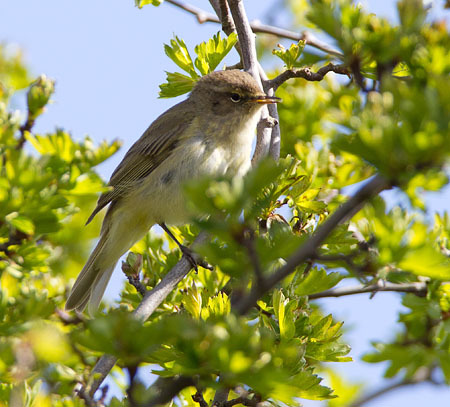 Willow Warblers seem to be singing everywhere and with the leaf growth advancing, it won’t be long before we won’t be able to see them! In between rain storms is a good place to be in migration time. 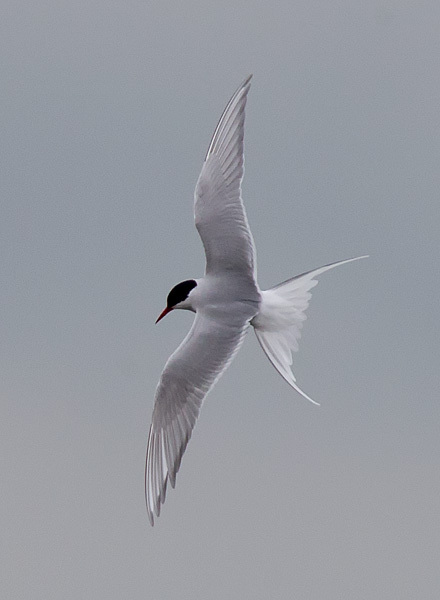 We had 12 Arctic Tern through one evening, with 2 Little Gulls [one 1st Summer, one adult]. Unfortunately the Little Gulls were so far away, it was difficult to get anything decent. 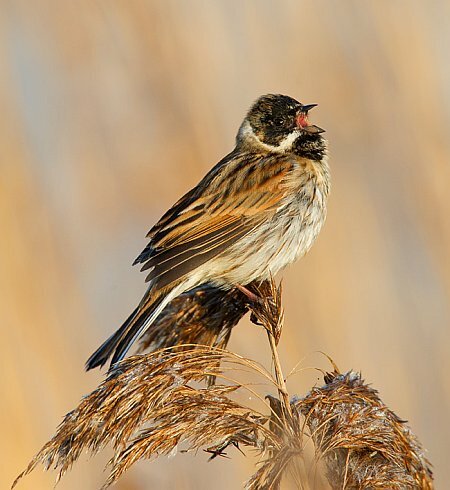 The good thing about storms, is that there is usually a bit of nice weather in-between getting wet – this Reed Bunting was singing for all he was worth. 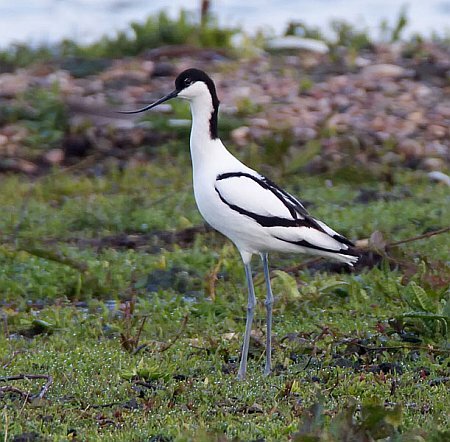 Whether you call it luck, or spending hours and hours on site, or both – it was lovely to catch this stray Avocet, who only stayed for 15 mins, then off on its journey. 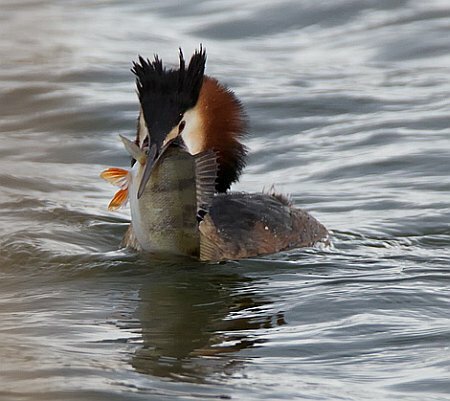 We never did see whether this Great-crested Grebe actually swallowed this sizeable Perch, complete with nasty spines. 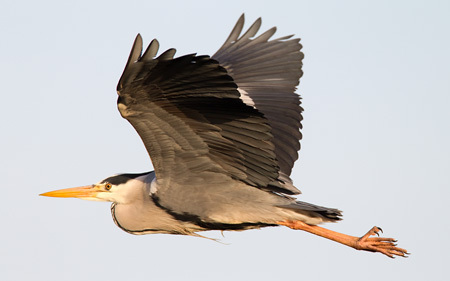 It disappeared out of sight behind the reed bed – it certainly looked painful! 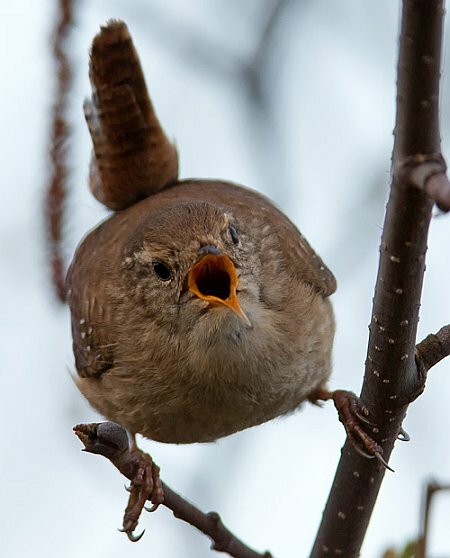 The Wren really didn’t like me, and I was only standing in my normal spot – gosh, they make a lot of noise for their small size! 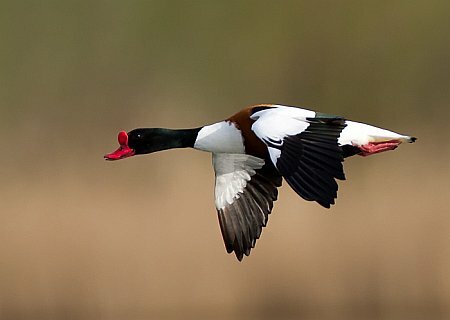 A chance BIF shot of a Shelduck. 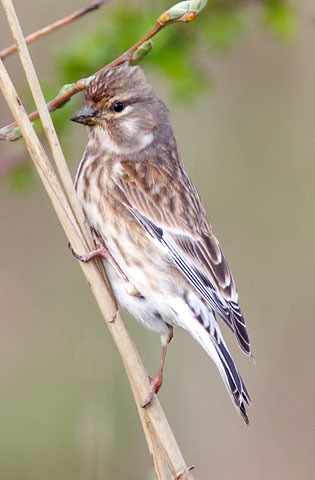 These Linnets are building a nest on the edge of one of the reed beds, in the bottom of some brambles – ouch! Well there you have it – April – a bit patchy, some dreadful weather, some highlights, some spells of sunshine. Not too disappointing though – the rain has done my garden good! I look forward to a livelier, drier May, but I wouldn’t bet on it!